Uber's board has vowed to implement recommendations from a four-month investigation into its workplace culture. A rundown of its findings. Uber’s board has voted unanimously to adopt the recommendations made by former U.S. Attorney General Eric Holder and Tammy Albarrán, both partners at Covington & Burling, to change its workplace culture. Holder and Albarrán were hired to investigate the ride-hailing company after former engineer Susan Fowler penned a blog detailing her experience working at Uber, where she claims to have experienced sexual harassment and faced an unresponsive corporate culture. Broadly speaking, Holder and Albarrán directed Uber to focus on changing the "tone at the top, trust, transformation, and accountability." Starting at the top, the attorneys recommended the company "review and reallocate the responsibilities" of its controversial CEO, Travis Kalanick. The review also suggested the company hire a COO to complement Kalanick, elevate the role of its head of diversity, Bernard Coleman, and give him the title of chief diversity and inclusion officer to reflect his expanded roles. "Diversity is generally viewed as focusing on the presence of diverse employees based on religion, race, age, sexual orientation, gender, and culture. Inclusion, on the other hand, focuses not just on the presence of diverse employees, but on the inclusion and engagement of such employees in all aspects of an organization’s operations," the report concluded. In addition, the review recommended the company establish performance reviews to hold senior leaders accountable. The Holder and Albarrán report targeted the board as another area for improvement, suggesting the company enhance board oversight by making it more independent. It said Uber should increase the number of seats on the board and install an independent chairperson. Human resources should also receive a revamp, the report noted. It advised the company to hire an "an individual responsible for drafting new policies and updating existing policies, through whom all updates to the policies flow, and who also serves as a repository of critical information relating to Uber’s policies and practices." In tandem, the company should ensure HR has an effective complaint process, has strong support from management, be well-staffed and well-resourced, and establish guidelines around escalating complaints. Uber seems to have tried to get ahead of these recommendations in recent weeks. Emil Michael, SVP of business, departed the company. It added Wan Ling Martello, an executive at Nestle, as a new independent board member with voting rights, hired Apple marketing exec Bozoma Saint John as chief brand officer, and fired 20 employees for sexual harassment and other workplace malpractice cases. Most significantly, Kalanick said before the release of the report that he will step down from his position, in part to grieve for his recently deceased mother. 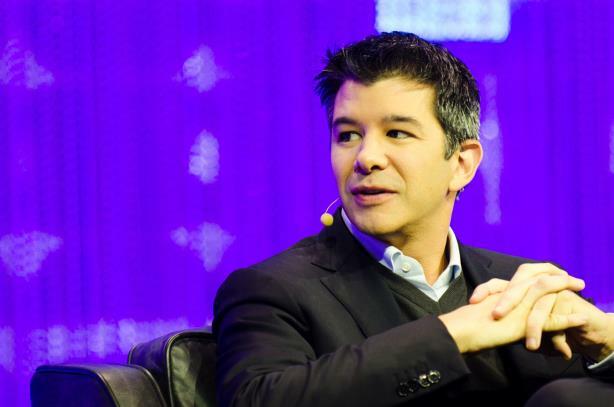 Can Uber's culture actually change, post-bro?